The newly released ‘Palestine Papers,’ leaked to Al Jazeera and shared with the Guardian, reveal what many Palestinians and international supporters already know and suspect: high-level complicity between members of the Palestinian National Authority (PA) and the Israeli settler-state as part of an ongoing genocide against the Palestinian people. The leak of the ‘Palestine Papers’ occurs within the context of ongoing systemic anti-Palestinian policies pursued by Israel. Some, including former US President Jimmy Carter, describe these policies as one of maintaining an apartheid system. Others, such as Tariq Ali, describe it as a form of genocide. The ‘Palestine Papers’ reveal the depth to which Palestine’s so-called leaders are complicit in such policies. Some have called the PA traitors. The PA could also be described as compradors because their traitorous role in instrumental to Israel’s structural hostility towards the Palestinian masses. Their traitorous role is not a one-time affair, but ongoing. 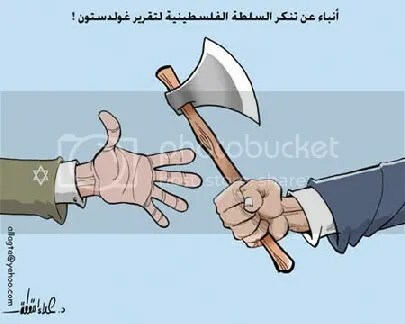 These compradors in the Palestinian National Authority, Fatah, the Palestinian ‘Liberation’ Organization, etc, are supported by the Zionist settler-state and its imperialist backers principally for the role they play in selling-out the Palestinian people’s struggle. Previously organizations such as Fatah and the Palestinian Liberation Organization represented a secular resistance to Israeli aggression. It is notable these organizations rose to power and initially became recognized because of armed struggle. However, they, like many other armed movements, sold old the larger struggle of the oppressed for a seat at the table of oppressors. This has created a situation where other forces, largely Islamists, have stepped in and through supporting people’s resistance gained popular support. History teaches that the struggle against foreign oppressors and domestic oppression must be carried in tangent, it must be ongoing and exported. It is correct to unite in coalition for wider defense of the people while independently organizing for the further revolutionary transformation of society. Israeli aggression against Palestinians is reminiscent of the United States’ aggression against any number of Indigenous nations in the territory it now controls. One tragic story is worth recalling. In 1813, the Red Stick War broke out. Under the leadership of Tecumesh, thousands of indigenous warriors from 32 tribes fought against the invading United Snakes. The removal of the Cherokee occurred with a larger context. The Cherokee would be one of a great number Indigenous tribes removed or exterminated to make way for the ‘masses’ of White settlers over the course of US history. Today, because of the genocide and expansion of the US empire, Indigenous people are less than 1% of the population of the US. The Palestinian masses must be united in resistance, not capitulation. No amount of licking the boots of the Zionist settler-state will halt its genocidal march across the Occupied Palestine. Only resistance and revolution, a forceful stop to the ongoing Israel’s aggression, will achieve such an outcome. Next Post Gregory C. Lewis’s reply to Swaneagle: The amerikkkkan majority are imperialists and will never change. Ever.